In the summer of 2013, Marist College underwent a few major renovation projects to improve the campus learning and living environments for the Red Fox student body. The main addition to the campus was the gorgeous new Student Center building. The new building includes an elegant new dining hall, rehearsal and performance halls for the Marist Music program, large multipurpose rooms, and new classrooms all equipped with the latest technologies available for all students to experience. 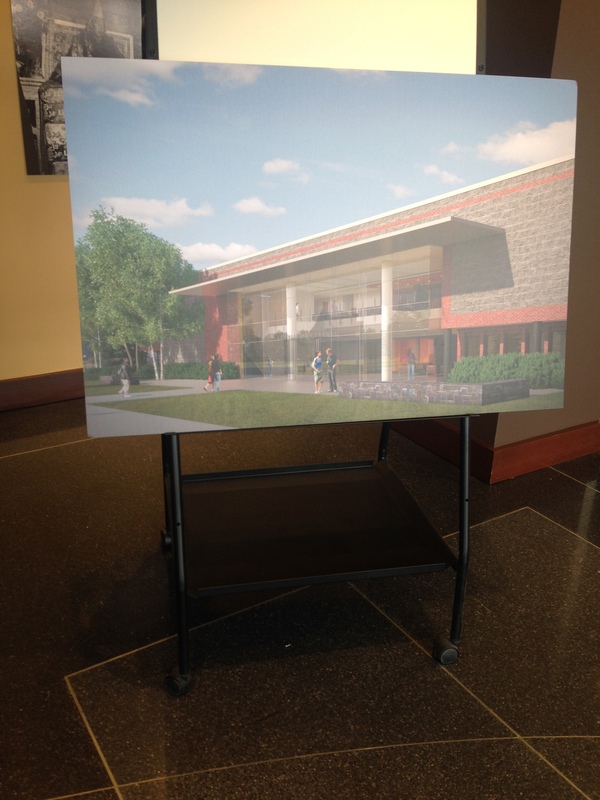 In addition to the Student Center, Lowell Thomas, Marist’s Communications Center, began to be remodeled. Lowell Thomas will have a more open look, including many new windows. Lowell Thomas’s ground floor and first floor were revamped throughout the summer. All of the classrooms on the ground and first floors were redone, with a modern look and modern influence. The same technologies that were added into the new Student Center were brought into Lowell Thomas as well. Each classroom has its own computer that comes with a projector screen and other media outlets that can be used. All of the rooms come with a brand new lighting system, too, which allows for dimming and selective lighting inside. In addition, the floors were carpeted, the walls were painted, and the building felt updated and looked brand new inside. Also on the ground floor, Marist College’s radio station, WMAR, was given a renovated station for students to use throughout the year. As great as the remodel has been for the 2013-14 school year, there are still elements of the Communication Center that feel outdated – but not for long. Lowell Thomas’ renovations are scheduled for completion this coming summer. The second floor, lobby, and outside of the building are going to be fixed up to match the standards of the rest of the building, as well as the others buildings on Marist’s campus. The Communications Office will be one of the first things to be updated. The office is excited to have more windows installed and a more “open” atmosphere inside. The lobby just outside the office will also be redone, with more areas for students to sit and meet. In addition, the second floor of the building will be recarpeted, painted, and updated to match the style of the ground and first floors. Also on the second floor, Marist’s television studio will be rebuilt, with brand new technologies for all Marist students to use. MCTV, Marist College’s own television studio, is incredibly excited for the new studio that they will be able to use for news broadcasts, entertainment shows, and sports talk shows that the students produce and create throughout the school year. Sophomore Ryan Pavlicek is heavily involved in the Communications department. As a sophomore, he is a Technical Director for MCTV, as well as the Vice President and Program Director for WMAR. “I definitely feel the renovations had a positive impact,” he commented. “I was able to get a whole year in the new radio studio compared to one semester last year.” As Vice President of the radio station, he feels that “the group was more excited coming in this year.” Ryan also stated that “The communication center as a whole is a lot more appealing, which makes people want to get involved.” He is looking forward to the continued renovations throughout the building, especially the television studio. Ryan is just one of many students who have been positively impacted by the Lowell Thomas renovations. Marist has used Robert A.M. Stern Architect firm for many of the projects on campus, including the Hancock Building built in 2009 and the Student Center this past summer. Stern is responsible for designing the gorgeous stonework that is seen on the exterior of the Hancock Building. The stone comes from the surrounding Hudson Valley area, and is seen in other college campus buildings in the area, including West Point Academy. In the summer of 2013, the new Music Building of the Student Center was covered in the same stone as Hancock. To visually tie the campus together, the exteriors of Lowell Thomas, as well as the Rotunda of the Student Center, will be recladded over the summer and have the same stonework included. The unique and beautiful gray stone is becoming a signature look of Marist College. After the completion of Lowell Thomas and the Rotunda’s exteriors, five buildings on campus will have the matching grey stone. The signature grey stone and red brick accent will be added to Lowell Thomas, matching other buildings on campus. The completion of the Lowell Thomas renovation will provide Marist’s Communications department a state of the art building for the 2014-15 school year. Marist students will have limitless opportunities to use the facility and to work and learn with the resources and technologies that will be provided. No doubt, Marist students will thrive within the walls of the updated Lowell Thomas. Special thank you to Marist’s Communications Department for displaying the photos of the future building renovations in the Lowell Thomas lobby.